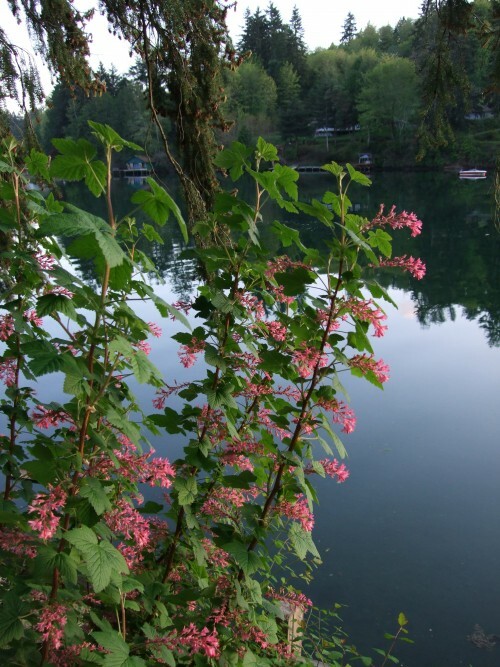 My Favorite Native Plant, Red-Flowering Currant, Ribes sanguineum at YMCA Camp Seymour..
Purchasing Native Plants: Many retail nurseries now sell some native plants, but they are often limited in the quantity and species available. 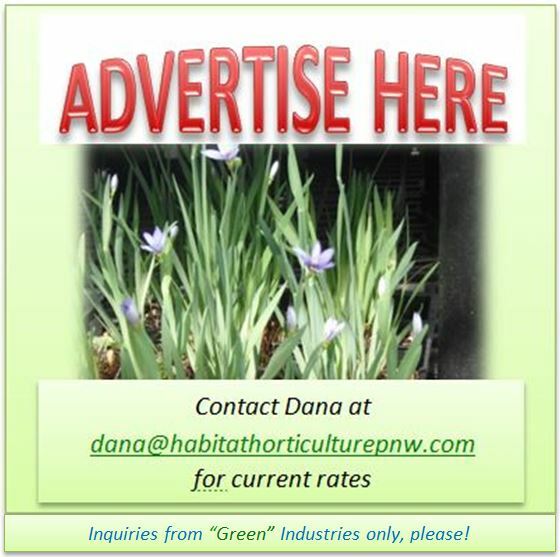 It is best to find a nursery that specializes in growing and selling native plants. Because some native plants do not transplant well, you will have better success with smaller plants that have been grown in containers. 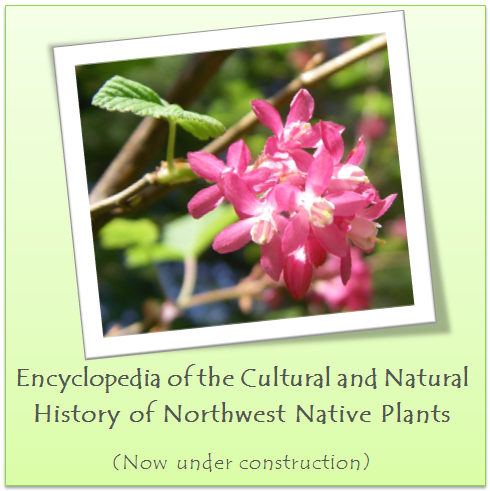 A list of native plant nurseries can be found at the Washington Native Plant Society Website. Many nurseries have websites where they post what they grow and what is currently available, but it is best to call first to verify availability. A reputable nursery will only sell container-grown materials or will let you know if the plants were wild-collected legally with a permit. Many county conservation districts hold annual native plant sales, where larger quantities of small bareroot plants can be obtained relatively inexpensively.